Modo are leaving a positive impact on the planet with every pair of frames sold. It’s great to be able to take a good thing and make it better. This applies to everyday things, like the chocolate sprinkles on your cappuccino or a traffic-free drive to work – now Modo eyewear have incorporated this feel-good attitude to their brand too! 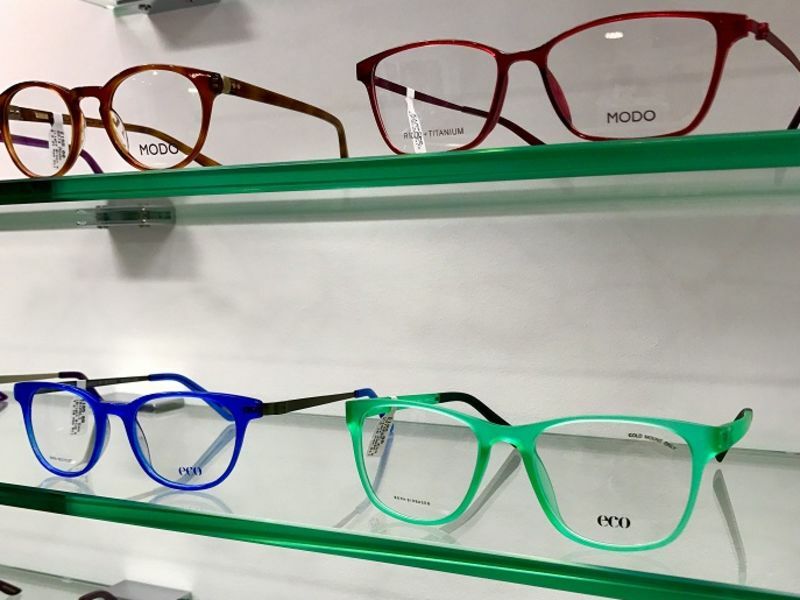 Fareham have re-stocked their branch with the newest frames from Modo, including the Eco collection. Not only are these frames striking to look at, but you can wear them with good conscience, knowing that you have made a positive impact on the planet with your purchase. 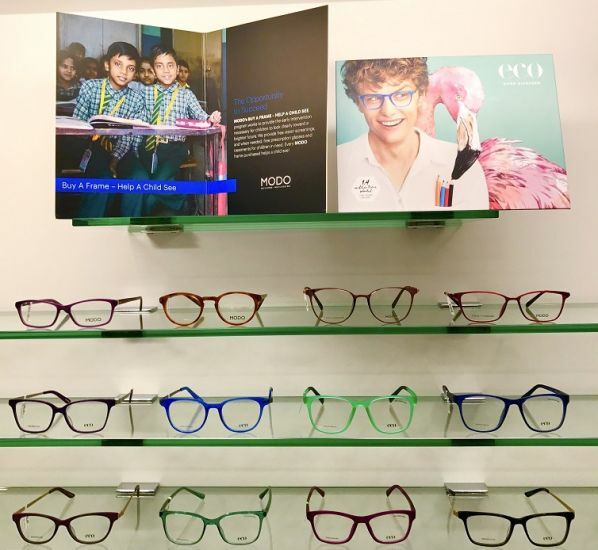 With a variety of large, bold frames in a rainbow of different colours, Modo eyewear will immediately catch your eye. Vibrant blues, earthy greens and fiery reds fit are expertly crafted from acetate and titanium without compromising comfort or durability. With every purchase of Modo frames, you are contributing to their ‘Buy a Frame, Help a Child See’ programme. 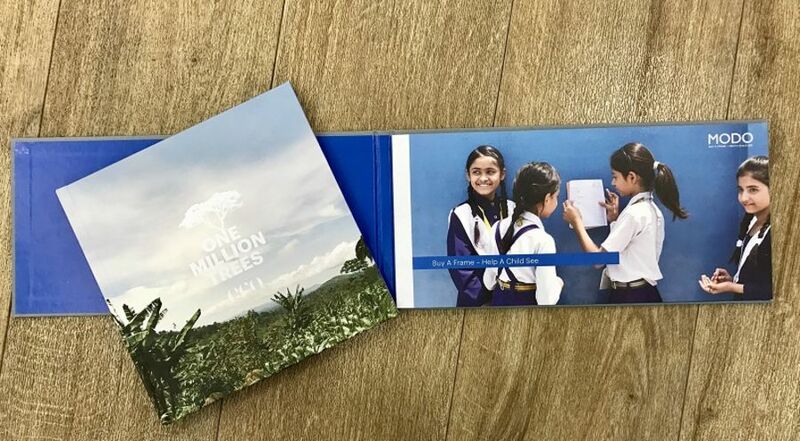 Eye care is easily neglected in parts of the world effected by poverty, so ‘Buy a Frame, Help a Child See’ helps detect and prevent vision and eye health issues in children living in developing countries. This will have a knock-on effect on the whole community – children with good vision can stay in school, to one day get jobs that will help work towards reducing poverty in their area. Eco, a collection by Modo, is revolutionary in sustainable eyewear. Made from biofuel waste products and recycled material, Eco’s carbon footprint is minimal. As if that wasn’t enough, Modo have partnered with NGO Trees for the Future and agreed to plant one tree for every pair of Eco frames sold. So far, that’s over 1.5 million trees which have been planted since 2009, and it’s all thanks to the customers who choose to wear Eco. The new collection in Fareham looks amazing and the team love sharing the story behind the brand with their customers. It’s great to have a brand that not only produces innovative and stylish eyewear, but also holds an environmental and social responsibility to its name. Modo can only be found in a select few of our branches. If you’d like to see them for yourself, get in touch with your local branch on 0800 40 20 20. Before you start shopping, you might want to get your prescription checked – you can book an appointment online or in store.